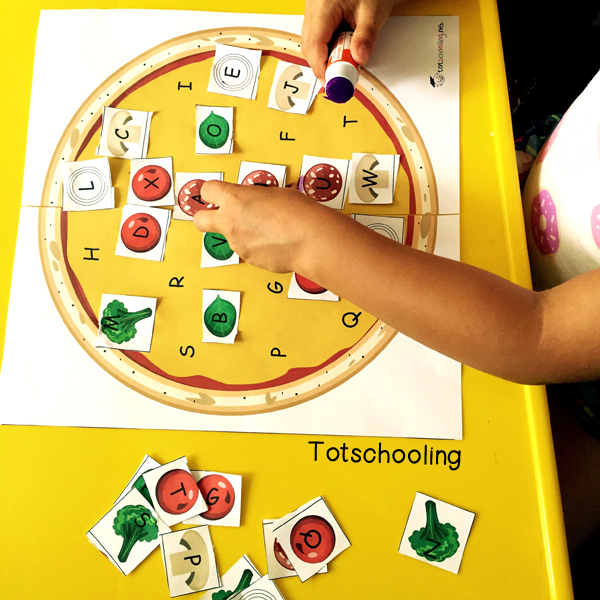 Letter matching games are one of my favorite ways to practice the alphabet with my preschoolers. To keep it fun, I like to come up with creative ideas, such as our Band-Aid Bear letter matching activity. It was such a hit that I wanted to create another one, this time with my kids' favorite food - pizza! 1. Cut & Paste activity: This is the way we did it and she was able to practice her scissor skills. The downside is that once it's done you can't do it over again without printing another copy, but you can hang it up on the wall or fridge and call out the pizza letters. 2. 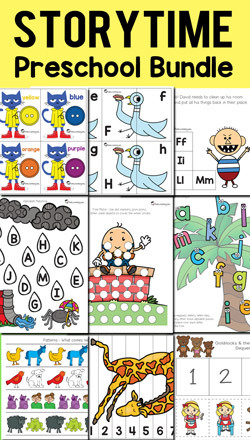 File Folder Game: This can easily be turned into a file folder game and played over and over again. If you laminate the pieces they will last a long time. When you print out the pizza, it will be divided in two pages. Just cut off the excess white space and tape the two halves of the pizza together. Then, you or your child can cut out the toppings. 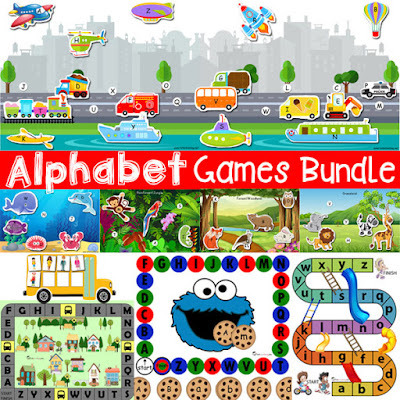 This game comes with both uppercase and lowercase letters so you can customize it to your child's skill level. 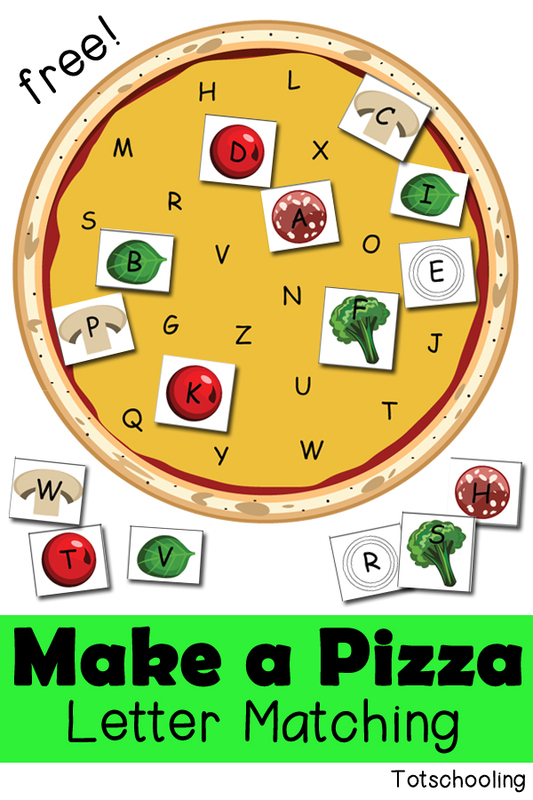 This Pizza alphabet game is part of our Alphabet Games Bundle, a set of 15 unique, hands-on printable ABC games. I'm so glad you like the games. There are definitely more to come! Thanks for stopping by.